Posted on January 21, 2019 . 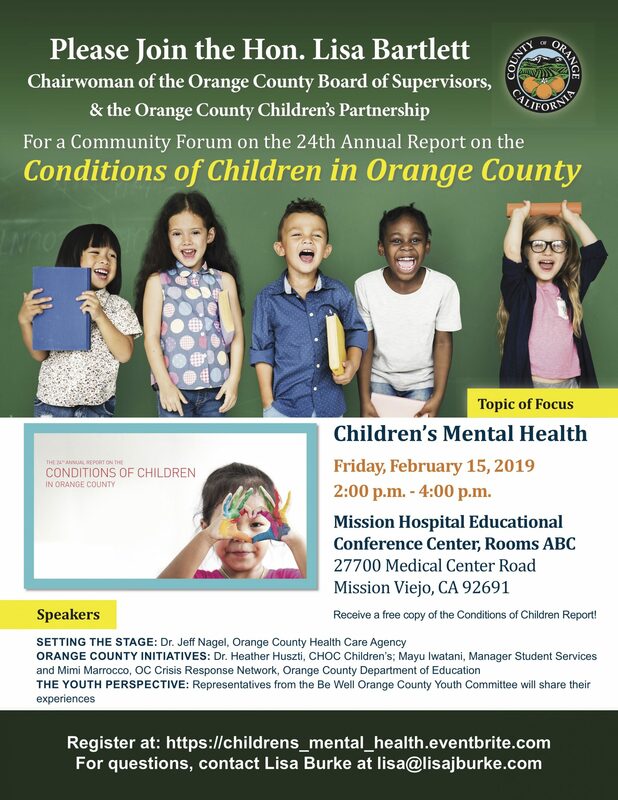 Join Chairwoman of the Orange County Board of Supervisors Lisa Bartlett and the Orange County Children’s Partnership on Friday, February 15, 2019 for a community forum on the 24th Annual Report on the Conditions of Children in Orange County. The forum will include an overview of key indicators of Orange County children’s well-being and speakers on the topic of children’s mental health. All attendees will receive a free copy of the Conditions of Children Report.